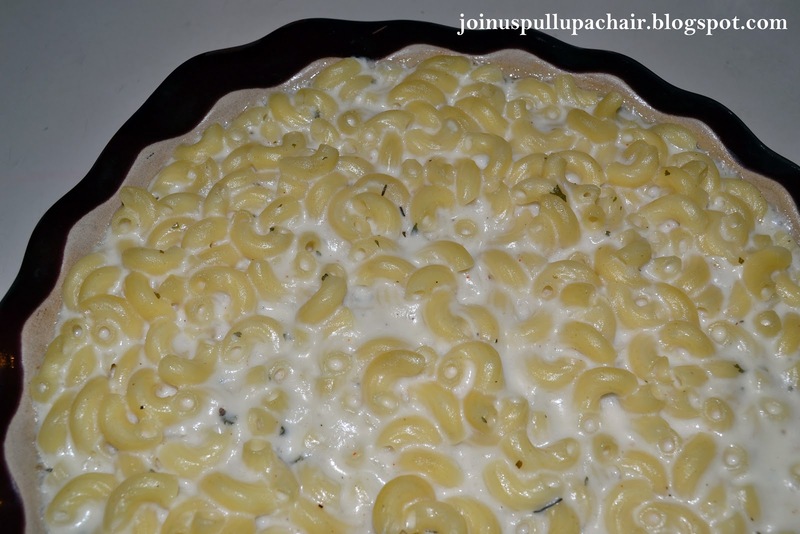 I’m trying to eliminate as much prepackage food as possible in our house and this is a great recipe to switch out for boxed macaroni and cheese. We all loved the roasted garlic and it made a large casserole dish, enough for leftovers! I’m still trying to find the perfect mac and cheese recipe; but this one is definitely a contender! Preheat oven to 400 degrees. Bring a large pot of water to boil and cook pasta until it’s a minute shy of being al dente according to the package instructions. Drain the pasta and return to the pot and set aside. In a medium saucepan, melt the butter over medium high heat. Whisk in the flour and garlic paste and cook stirring occasionally until the mixture is golden brown. Whisk in the milk, parsley and cayenne. Stirring occasionally, cook until the sauce comes to a low boil and thickens. Remove the pan from the heat and stir in the cheeses. Continue whisking until the cheese is completely melted. Season with salt and pepper to taste. Pour the cheese sauce over the cooked pasta and stir to combine. Transfer to a lightly greased 3 quart baking dish. Bake for 15 to 20 minutes or until the top is browned and the cheese is bubbling. Allow to cool for 5 to 10 minutes before serving.